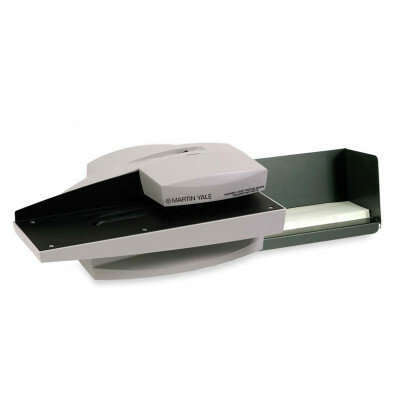 Envelope Thickness: Up to 3/16"
Martin Yale 1632 automatic letter opener machine feeds and opens up to a 1-3/4" tall stack of envelopes placed in the feed tray. All you need to do is place a stack of envelopes into position and turn the letter opener on. The blades used to open the envelopes are fully enclosed in the machine, so the user’s fingers are safe. The opened envelopes are neatly organized in the catch tray that also folds up for easy storage. The Martin Yale 1632 letter opening machine operates at a speed of up to 7,000 envelopes per hour. It can handle envelopes up to 3/16" thick and stacks up to 1-3/4" high. The machine cuts a 3/32" strip alongside the envelope making it easy to remove the contents of the letter. 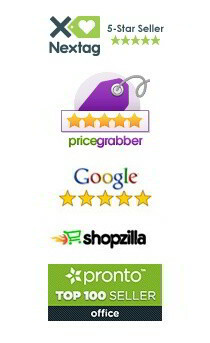 Its low noise operation and speed make it perfect for small to mid-size businesses. This is working great and is very efficient. I have need for an efficient, hand-protected electric letter opener that will handle heavier plastic FED EX envelopes - to slit the ends open to release bulky samples inside. If it could mount under a table, that would be a plus. Will any of your products handle plastic envelopes? 700 per day. This letter opener is meant to be used with commonly used paper envelopes (up to #10) and not recommended for plastic envelopes.